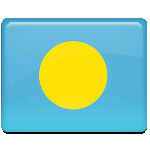 March 15 is Youth Day in Palau, a small island country in Micronesia. It is a public work-free holiday in the Republic of Palau. Youth Day is one of the most important holidays in Palau that focuses on celebrating the role of youth in shaping Palau government and society. The holiday raises awareness about the importance of early integration of young people in public service which helps them become better decision-makers. On the occasion of Youth Day, government offices and educational institutions are closed as it is a non-working day. The Government of Palau, regional youth bodies and youth non-governmental organization such as Palau National Youth Council join forces to organize numerous events (marches, parades, youth congresses and conferences, tournaments). Youth Day celebration typically includes an awarding ceremony held by the government. The ceremony was designed to honor young people who have made significant contributions to their local community or the entire country. During the day, the government also reveals the projects aimed at improving services provided to the youth.